Karen Jackson Forbes had never been to a Grateful Dead concert before she went to see the iconic band on May 21, 1974 at Hec Ed Pavilion. Having heard rumors that the concert would last five hours, she drove herself, aiming to leave at intermission. But once she heard the mind-bending music, her plans changed. “I stayed five hours, and now I go to every Grateful Dead concert I can,” says Jackson Forbes, ’73. The box set contains 19 CDs. That Hec Ed concert, long a favorite of Dead Heads, is one of six historic concerts being released in a beautiful new boxed set, “Grateful Dead Pacific Northwest ’73-’74: The Complete Recordings.” The concerts include three shows from 1973 and three from 1974, all from Portland; Vancouver, B.C. ; and Seattle. Each night, the band played different set lists, drawing from their own extensive songbook and borrowing heavily from the American canon of folk, country and rock ’n’ roll. Fans got their hands on bootleg recordings of concerts, trading generations of cassette tapes, and creating an opus of work that varied over the years as the band reinvented its music through improvisation and re-orchestrations. Since lead singer Jerry Garcia’s death in 1995, the band has released concert recordings that have been digitally remastered. The music in the boxed set was made when the band was transitioning to keyboardist Keith Godchaux and his wife, vocalist Donna Jean Godchaux, shortly after founding member Ron “Pigpen” McKernan had died. The early ’70s sound is fresh, lively and often psychedelic. Songs from these recordings feature prominently in the concerts, including “Stella Blue,” “Scarlet Begonias” and “U.S. Blues.” But the star from the Hec Ed night in 1974 is a 47-minute rendition of “Playing in the Band” and the band’s famous wall of sound, a 450-speaker amplification system that backed the stage. “Everybody in the hall last night literally felt the music,” according to The Seattle Times’ review. 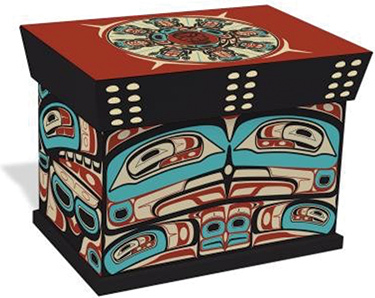 All 19 CDs, plus a 64-page book, come in a box designed by Canadian First Nations artist Roy Henry Vickers. It’s as much a piece of furniture as it is a music collection. Released as a limited edition set, the box costs $189.98 on www.dead.net.